Want more news? Sign up for my newsletter here. Apr 11, 2019 - I'll be signing copies of Virginia's Haunted Historic Triangle: Williamsburg, Yorktown, Jamestown, and Other Haunted Locations and Haunted Virginia: Legends, Myths, and True Tales Sunday of Memorial Day Weekend at the Visitors Center for Colonial Williamsburg. Check Appearances at a Glance for the address and times and date. Apr 8, 2019 - The Kindle for 13 Backyard Monsters is now live on Amazon! This contains my horror short fiction, "The Orang Bati," with 12 other scary tales. The link for it is here. Also, I will be doing another event, Fandom Fest, at the Virgil I. Grissom Library from 10:00 a.m to 5:00 p.m. in Newport News, Virginia, on Saturday, May 11, 2019. Mar 21, 2019 - I will be pitching my tent and doing the Fall Festival in Yorktown, Virginia, October 12, 2019. For the address and times, check Appearances at a Glance. I am excited to announce that I, along with authors Susan Schwartz and Carol Smith, will be interviewed about our stories in the nonfiction true ghost stories anthology, Paranormal Encounters, on WTVR-6's Virginia This Morning on Wednesday, April 24, 2019. 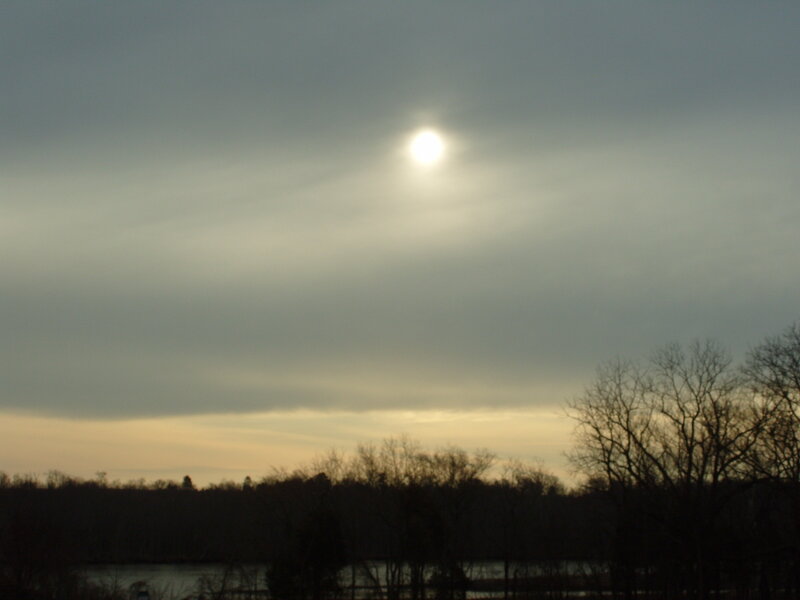 It will happen sometime between 9:00 a.m. to 10:00 a.m. If you cannot watch it or record the show, the video of the interview should be up on their website, Virginia This Morning | WTVR.com that afternoon after 2 p.m.
Mar 18, 2019 - I'll be doing a multi-author event at the Henrico County Public Library branch, Tuckahoe Area Library, from 7:00 - 8:30 p.m., Thursday, August 1, 2019. Check out Appearances at a Glance for the address and website link, plus more. Mar 2, 2019 - I'm excited, as Paranormal Encounters was first released February 24, 2019, at Amazon in Kindle, and that day became a #1 new release bestseller in Occult Parapsychology! And now, it was released in paperback Friday, March 1st, in paperback. You can find the links at the cover on the Ghost Books page. Feb 22, 2019 - I'm excited! My third ghost book, Virginia’s Haunted Historic Triangle: Williamsburg, Yorktown, Jamestown, & Other Haunted Locations is going for its second printing. It will have an all new cover and book blurb, twenty additional pages with a new chapter, plus new stories added to other chapters, and ten new photos of ghost images. It releases at the end of July 2019 and is now available for preorder at Amazon and Shiffer. (I would suggest Schiffer, as the books come there first and those preorders are the first shipped out. It will be in your hands faster.) For more information about what's new, click here. You can now see the cover for the upcoming ghost story anthology that will include two true ghost roes of mine, Paranormal Encounters, published by Anubis Press. View it here. Jan 22, 2019 - I just signed two contracts for two true ghost stories that happened to me. Both tales will be in the anthology, Paranormal Encounters, to be published by Anubis Press sometime in 2019. I can now say that in 2019, I will also be selling and signing my books at the Chesterfield Comic Con March 16th, the Hanover Book Festival April 27th, and returning to do the 28th Annual Jingle Bell Bazaar at Ecoff Elementary School December 7th. You can find the addresses and more about the one-day events at Appearances at a Glance. 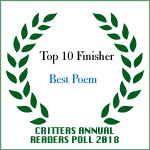 Jan 15, 2019 - My poem "Warrior Not Forgotten," took second place in the 21st Annual Critters Readers Poll. Check it out here. It is in The Virginia Writers Club Richmond Chapter Golden Nib Contest 2018 anthology. To find out more about the poem and the anthology, click here. Jan 15, 2019 - The anthology, FAE THEE WELL, that includes my dark fantasy story, "Last Chance," will premiere at Marscon in Williamsburg, Virginia January 18-20th. For those who can't be at the convention, you can preorder it through DreamPunk Press by clicking on the link here. Scroll down to find the book cover near the bottom of the page. It ships by February 2019. Dec 27, 2018 - Got the cover for the upcoming anthology, FAE THEE WELL, releasing at Marscon 2019 in Williamsburg, Virginia. A large portion of the proceeds will be going to the Heritage Humane Society - a charity supported by the convention. My dark fantasy story, "Last Chance" is included in the book. Check it out here. Plus 13 Backyard Monsters anthology may be released January 1, 2019! My story, "The Orang Bati," is included in it. Here are the 13 authors in the anthology: Don Smith, Pamela K. Kinney, Colin S. Bradly Ray Johnson, Kevin Candela, Dona Fox, Michael Fisher, Craig Mullins, Mark Henson, Mark Woods, Roma Gray, Lynn M. Cochrane, and Brian Weinsfelder. Nov 27, 2018 - My horror short story, "The Orang Bati", was accepted for the anthology, 13 Backyard Monsters by Night Sky. When I learn the release date, I will be sure to post it here. Nov 5, 2018 - I have disappointing news, but Arrohatc Comic Fest had to move to another date from March 9, 2019, and so, due to another possible event that happens on their new date the following weekend, I won't be doing Arrohatac. But I am happy to report I will be returning as an author guest to Mysticon February 22-24, 2019, and also to Ravencon April 5-7, 2019. Check Appearances at a Glance for addresses of the hotels of both conventions and their websites. Oct 2, 2018 - I'll be signing copies of my nonfiction ghost books at the Barnes and Noble at Chesterfield Town Center on Saturday, October 13, 2018. For the time and address, check Appearances at a Glance. Please check out my Archives pagefor news and events that happened earlier this year and prior.